Avengers: Infinity War has been hugely successful. Not just as a film, but as a hotly anticipated cinematic event, Vox recently reported that it had the “best opening weekend of any movie in all of time”. Featuring an ensemble cast of the biggest Avengers characters (and some of the world’s most popular film stars), Marvel succeeded in creating a huge amount of engaged, vibrant fan buzz about the film, which seems to have paid off at the box office. How did Marvel achieve this? We used Brandwatch to look at the conversation about Infinity War well in advance of the film’s premiere. We discovered the importance of brand communications on social media that are consistent with brand values and meaningful for the target audience, so as to gain maximum organic fan engagement. The Marvel Cinematic Universe has a huge and passionate fandom, so to keep data volumes manageable, we focused on conversation in Scotland only and restricted our search to terms relating to “Avengers” and “Infinity War”. We looked at data from 1st March – 12th April, in order to analyse conversation well in advance of the film’s release and to capture pre-event buzz. The above chart shows the number of mentions about Infinity War over time from 1st March – 12th April. The highest spike in conversation is on 16th March, which was when advance tickets went on sale, coinciding with the release of the final trailer. The trailer provoked a great deal of organic conversation among fans leading to positive brand buzz on social media. This could have translated to greater box office revenue. Marvel has global clout, but smaller brands could learn from this strategy. When promoting events, releasing meaningful content that will resonate with your audience at the same time as tickets go on sale could create organic, engaged audience conversation, resulting in greater brand visibility and possibly increased ticket sales. In order to analyse the content of the conversation, we filtered out retweets and organisational content, so as to examine only the most engaged, organic fan content. The word cloud below shows the key conversational topics for this period. I can’t wait to see the Edinburgh scenes on the big screen! There was also a sneak peek Infinity War fan event in Edinburgh – a ticket competition which led to a great deal of conversation among fans on Twitter. This shows the importance of local context for certain brand communications, even for a global brand like Marvel. Other key topics in the dataset are focused on the film itself and other Avengers films (Avengers Assemble, #InfinityWar trailer). The topic cloud also shows fan conversation about individual superheroes, particularly Captain America, Hulk, Thor, Iron Man and Black Panther. We wanted to dive deeper into the conversation, so we conducted a thematic and semiotic analysis on fan content, as well as on content from official Marvel channels and some of the stars of the film. The key values communicated by Marvel that resonated with the audience were legacy and community. This results in a highly engaged fanbase producing rich, engaged social media content. This is due to the fact that plot threads from multiple previous films are being picked up in an Infinity War. But from a promotional point of view, this was a masterstroke, as the last decade of Marvel cinematic history effectively became hype for the new film. From 2008’s Iron Man to 2018’s Black Panther, fans of these previous films can find ways to identify with Infinity War. Any new promotional material therefore had a huge, meaningful legacy and the ability to draw on anything that already had resonance with fans. This was explicitly described as a journey, with some Marvel comms describing it as “The Road to #InfinityWar”. So the road to #InfinityWar has officially begun! Fans here picked up on Marvel’s language and took it further, creating their own, rich content about the brand because Marvel’s comms resonated with them, tapping into something with which fans could easily identify. All your faves on one team – are you ready? This sense of community extends to the fans, with communications from Marvel and the actors alike explicitly including fans as part of the Avengers community. Where will you be when it all ends? This produces deep investment in the story and the film from fans, possibly making them feel like part of the team, like Avengers themselves. Fans also frequently refer to themselves as #TeamCap or #TeamIronMan. 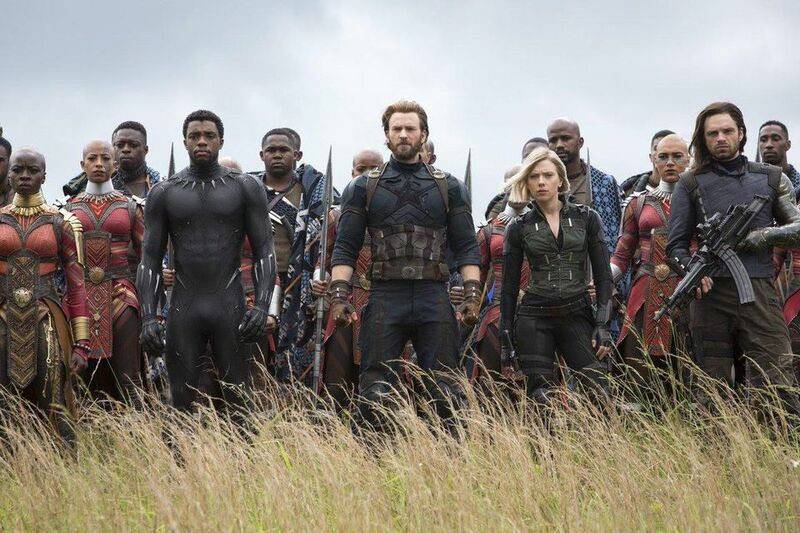 This could be a hangover from the marketing of Captain America: Civil War, but it also shows the levels of dedication fans have to individual characters, joining in a community with the individual Avengers, but also with each other. Consistent with brand values and meaningful for your target audience so as to increase the chance that fans will produce organic content and create positive buzz for your brand. Social media listening, combined with a thematic and semiotic analysis of both your brand comms and audience conversation can help you get this right, providing an analysis of your brand meaning and of the values that will resonate strongly with your audience. For a bespoke thematic and semiotic analysis of your communications on social media, get in touch @DI_insights. This research was powered by Brandwatch.